Secret message or prediction appears written in chalk! Message or prediction appears written in chalk! Locking! Looking for a really nice SINGLE Spirit Slate- that LOCKS? This particular slate was one of our favorites, because IT LOCKS, but unfortunately it is no longer on the market. But we found a NEAR NEW CONDITION one, fresh from a private magic collection! 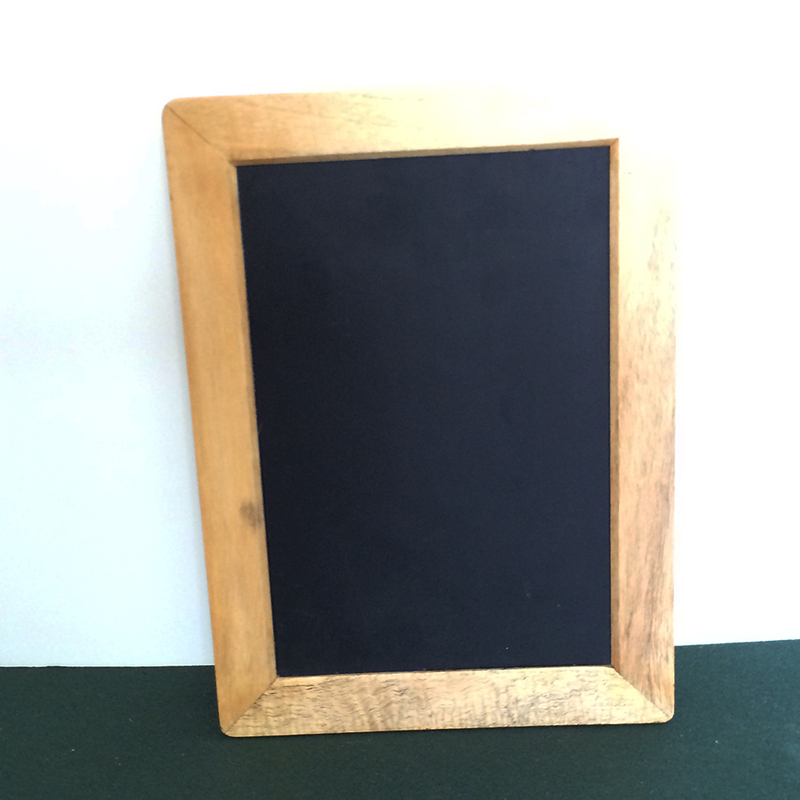 Original selling price for this slate was $99- this is LESS THAN A THIRD OF THE PRICE PRICE! After showing this slate to be blank on both sides, you put the slate into a large manila envelope or even a folded newspaper. 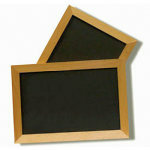 When you remove the slate again, your prediction or message is written in chalk on the slate. As if by the hand of a spirit! What sets this model Spirit Slate apart is that it has a built-in LOCKING mechanism. Makes this trick nearly foolproof- your method won't be accidentally revealed by mistake. CONDITION: gently used. Works perfectly. The slate is still very black. Slate measures about 11.5" high by 8.5" wide. 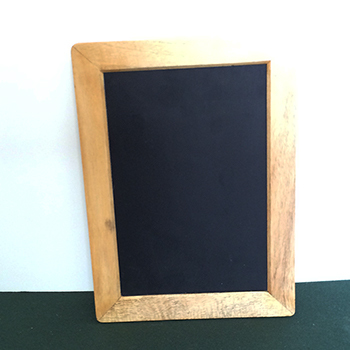 Frame of the slate is made of wood. Chalk or envelope not included. Click to see a larger image of the Locking Spirit Slate.